Stealth, the search, the fight, and the thrill of the hunt. 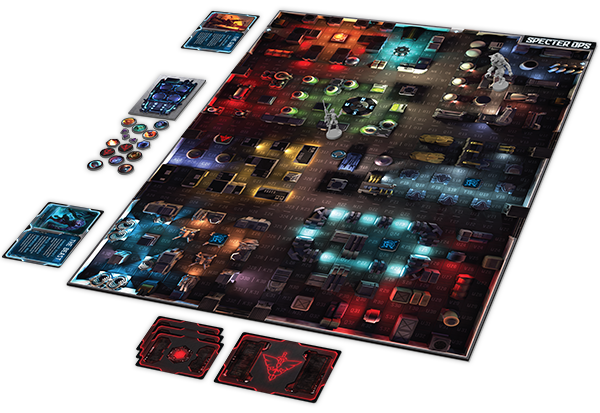 Specter Ops puts you and 1-4 friends in the middle of a war for society that's fought in the shadows. with unique skills and tools, the agent moves in secret. their board location only if they pass through a hunter's line of sight. strategies and experiences are possible. rushes across the board and detects the motion of the A.R.K. agent. are represented by high quality miniatures. exciting stealth game that belongs in every gamer's collection.